This is a made to order leather telescoping cigar case. 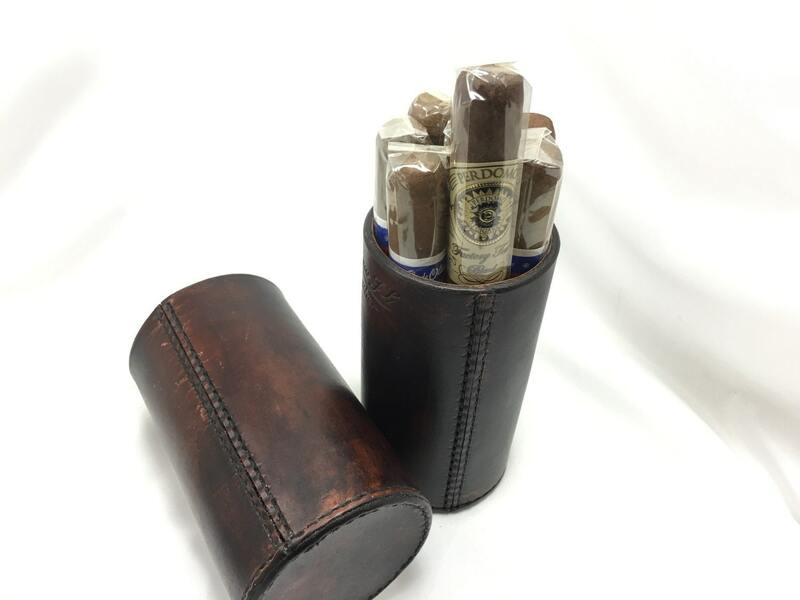 It will hold up to 8+ cigars depending on size. 8 Churchill sized cigars or 7 robusto sized cigars. The upper and lower half are lined in with Spanish Cedar. The upper half is half lined as to provide a stopping point for the CigarTube. I use hand cut 9/10oz Thoroughbred Leather company vegetable tanned leather, and it's meticulously hand sewn together. It is hand dyed and finished with eco friendly finishes.